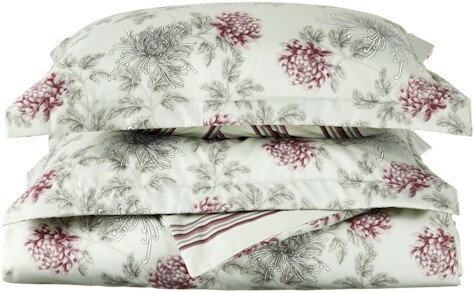 Amazon has got this Divatex Waterflower Microfiber Duvet Set in full/queen size for only $13.49 with free Prime/SuperSaver shipping. Only the purple/green set is available for this price. This is another rare Amazon bedding overstock discount, so while it's not a pricing mistake, they are limiting the number of set that you can buy to four per account. If you missed the last duvet set sale back here, I hope you're able to snag this one! 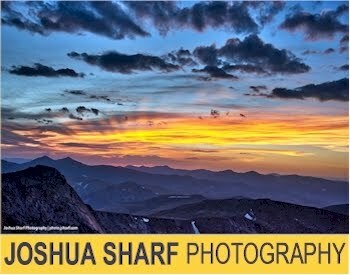 I know it's summertime and no one has Chanukah on the brain, but this deal popped up on my radar and it's such a great price, I can't help but post it. 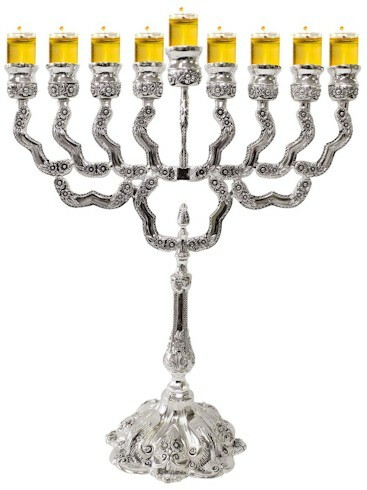 Amazon has got this beautiful 12" nickel-plated menorah for $10.18 with free Prime/SuperSaver shipping. Recognizing great finds like this and buying holiday items off-season is one of the smartest ways to save money on some of the most expensive times of the year. 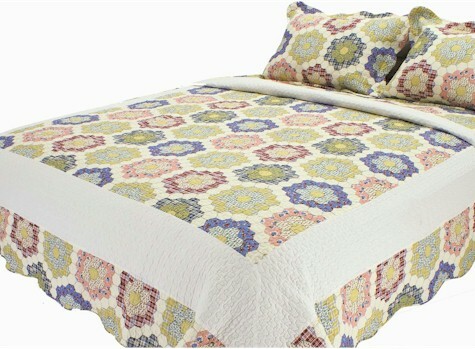 Amazon has got this 100% cotton Melange Home Honeycomb quilt set in twin-size for only $24.26 with free Prime/SuperSaver shipping. 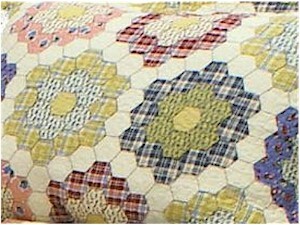 The set consists of the quilt and one pillow sham. 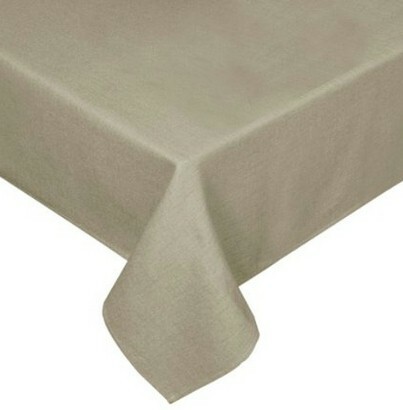 Amazon has got this Maytex 100% cotton linen colored 60" x 102" tablecloth for only $6.51 with free Prime/SuperSaver shipping. 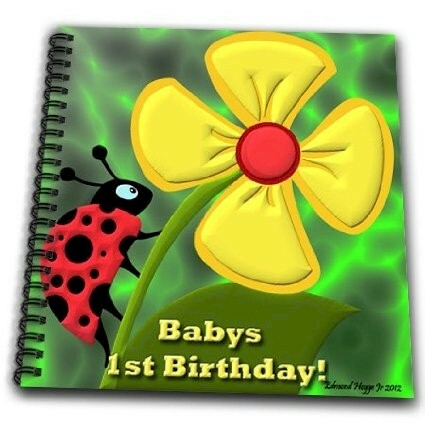 Amazon has got this 8" x 8" Baby's First Birthday spiral-bound drawing/memory book for only $10.63 with free Prime/SuperSaver shipping. Amazon has got this Anchor Hocking Essentials Bakeware covered pie plate for only $5.05 with free Prime SuperSaver shipping. This plate got 4 out of 5 stars over 4 customer reviews. This bowl reminded me of our Nambé bowl (but without the Nambé price). 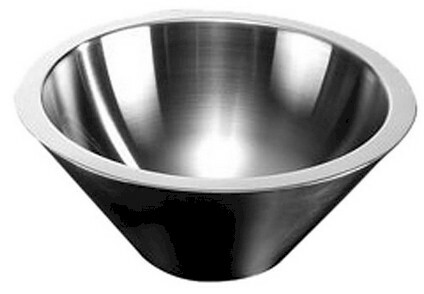 Amazon has got this American Metalcraft 6-inch double-wall stainless steel bowl for only $9.02 with free Prime/SuperSaver shipping. Amazon has just had a price drop on this Waterford Markham Vase, down to $34.68 with free Prime/SuperSaver shipping, the lowest Amazon recorded price on this high-end item. 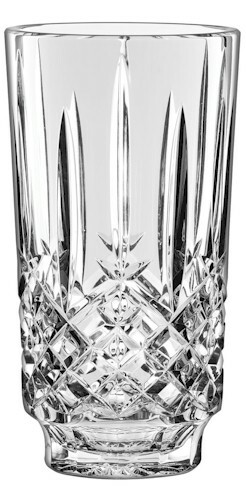 Elegant, impressive Marquis by Waterford crystal vase, perfectly sized for cut flowers and bouquets. 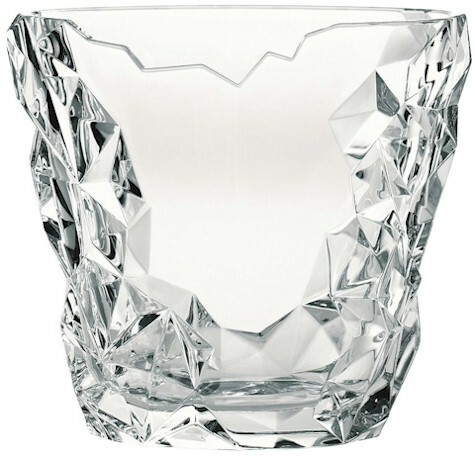 Combining beauty and value, the Marquis by Waterford Markham Vase has a timeless, classic crystal cutting pattern. Lead-free and flame polished for brilliant, radiant clarity. A terrific business, housewarming, Christmas, Mother's Day, Valentine's Day, anniversary and wedding gift. 9" tall x 5" diameter at the rim. Amazon has got this Sunbeam Pie Maker for only $10.50 with free Prime/SuperSaver shipping, the lowest Amazon price on this popular appliance. It got 4.5 out of 5 stars over 80 customer reviews. Makes 4 pies right in your own home. Non-stick cooking plates for healthy baking. Power and ready to bake indicator lights. Includes pastry cutting tool and pie press tool. 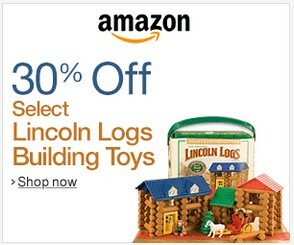 Today's Amazon Gold Box Deal of the Day (6/30/15) is 30% off four select popular Lincoln Logs building toys. 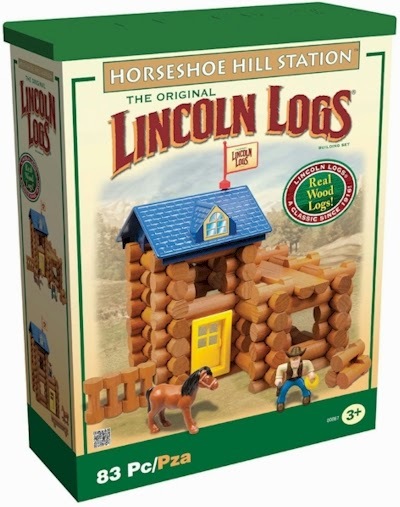 Amazon has the Lincoln Logs Horseshoe Hill Station Kit (83 pieces) for $27.99 $13.99 with free Prime/SuperSaver shipping. It got 4.5 out of 5 stars over 153 customer reviews. 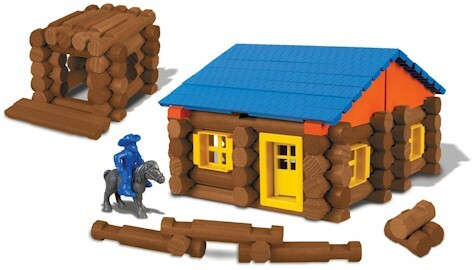 Amazon has the Lincoln Logs Country Meadow Cottage Building Set (137 pieces) for $34.99 $24.49 with free Prime/SuperSaver shipping. This brand new toy will be released tomorrow, 7/1/15, but it can be ordered at this price today. 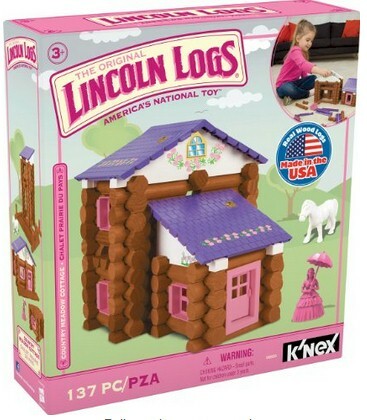 Amazon has the Lincoln Logs Oak Creek Lodge Building Set (135 pieces) for $39.99 $27.99 with free Prime/SuperSaver shipping. This brand new toy will be released tomorrow, 7/1/15, but it can be ordered at this price today. 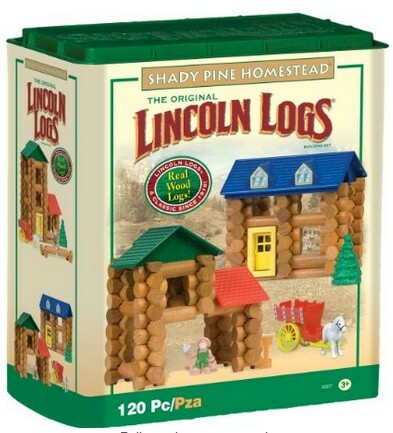 Amazon has the Lincoln Logs Shady Pine Homestead (120 pieces) for $30.53 $21.99 with free Prime/SuperSaver shipping. It got 4.2 out of 5 stars over 179 customer reviews. Are you a Tanga VIP member? 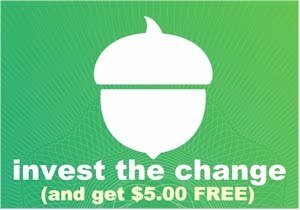 (VIP Members have made at least three purchases or more on Tanga from a single account.) Take 25% off this selection of Tanga items when you log into your Tanga VIP account and enter promo code DAILYCHEAPSKATE at checkout . You must be logged into your Tanga VIP account in order for the promo code to work. I found this gorgeous HP WIB red leather notebook carrying case for $49.99 $20.00, but apply the promo code DAILYCHEAPSKATE and that price drops to $15.00 with free shipping. 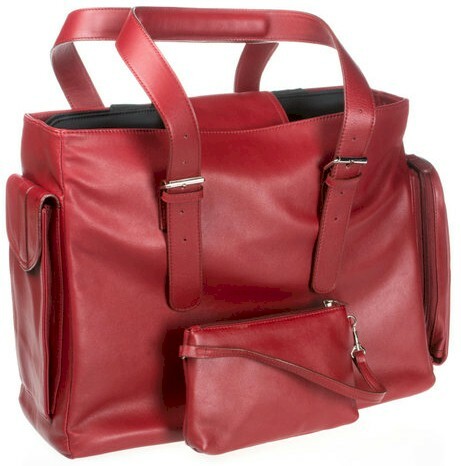 Description: The latest laptop-protecting technology meets high fashion in the Ladies’ Red Leather Carrying Case, a versatile carryall that accommodates your laptop and the other things you typically tote. 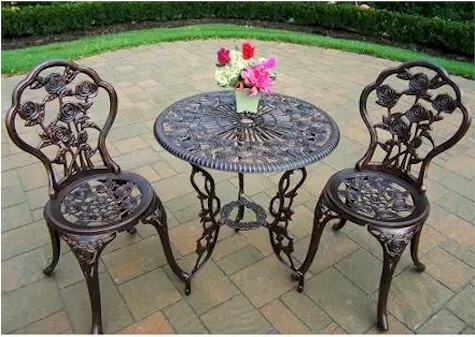 Dimensions: 15.5" × 12" × 6"
Walmart has got this Rose 3-piece Bistro Patio Set for $79.00 with free shipping. (We have this same set in white on our front porch.) This is one of the best prices I've seen on a bistro set in about five years. Table dimensions: 23.75" x 26"
Chair dimensions: 33.5" H x 16" x 14"D.
Seat height: 16.5". 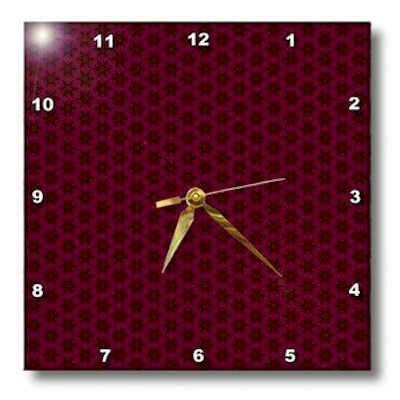 Seat depth: 15"
Description: Deep burgundy and black tiny geometric flowers and stars pattern wall clock is a wonderful complement to any room in your home or office. Made of durable high grade aluminum, this frameless clock has a high gloss mirrorlike, UV coated, scratch resistant finish and is suitable for a moist environment. Requires one AA battery; not included. Battery box is not covered. 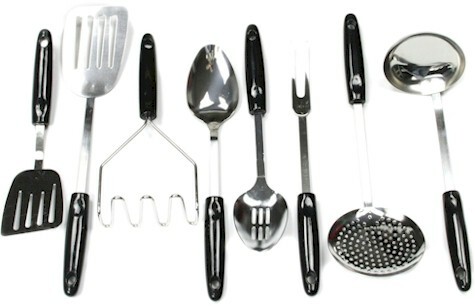 Amazon has got this Chef Craft 8-piece ktichen tool set for only $9.79 with free Prime/SuperSaver shipping. 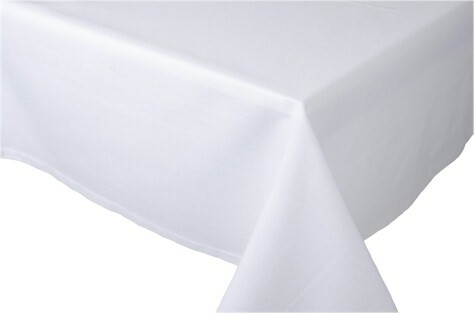 Amazon has got this 60" x 90" 100% cotton tablecloth for $9.86 with free Prime/SuperSaver shipping. 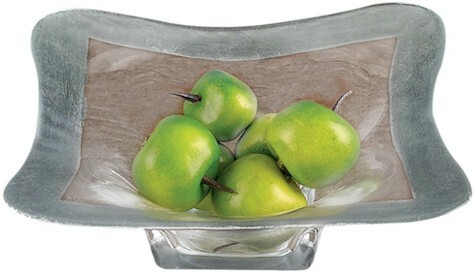 Designed to fit tables measuring 36" x 66" to 48"x 78"
Amazon has got this exquisite blown 8" glass bowl with hand-applied silver leaf design for $10.88 with free Prime/SuperSaver shipping. 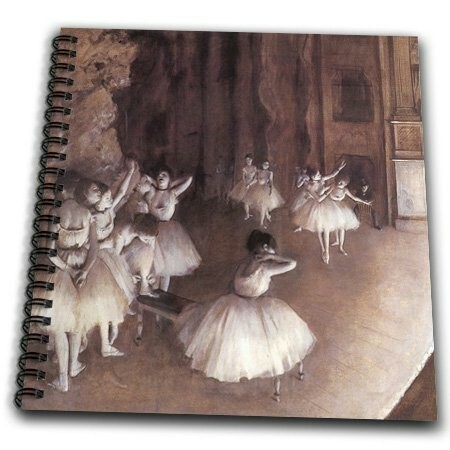 This spiral-bound 8" x 8" drawing book with the Degas painting on the cover is only $11.39 with free Prime/SuperSaver shipping. 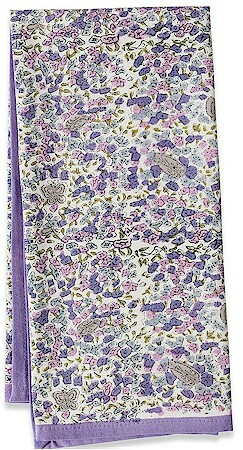 This will make a wonderful sketchbook, journal,, scrapbook or idea book. 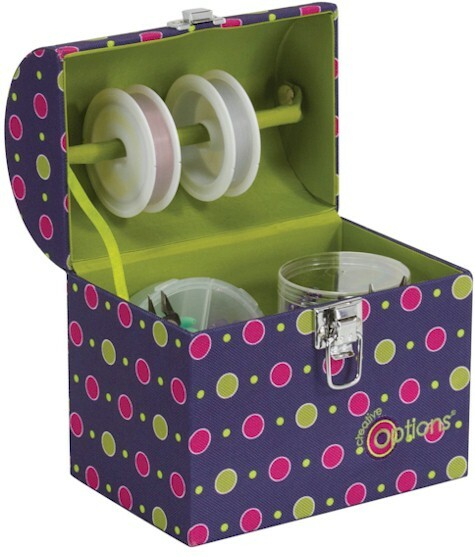 Amazon has got this Creative Options portable crafter's trunk for only $10.97 with free Prime/SuperSaver shipping. Amazon has got this 100% cotton twin-size North Home Pansy sheet set for $12.55 with free Prime/SuperSaver shipping. 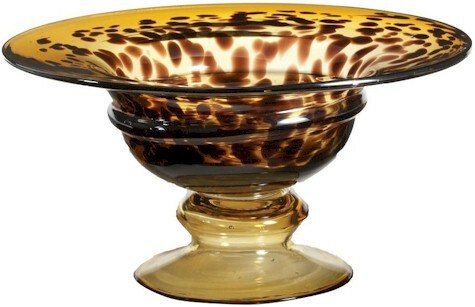 Flat sheet: 66" x 96"; fitted sheet: 39" x 75" plus 14" deep pocket; pillowcase: 20" x 30"
Amazon has got this hand-blown glass tortoise-shell pedestal bowl for only $13.50 with free Prime/SuperSaver shipping. Extremely elegant. If you're into unconventional contemporary design, you're going to love this Nachtmann Lead Crystal Sculpture Oval Vase marked down to only $14.97 on Amazon with free Prime/SuperSaver shipping. Amazon has this set of three 100% cotton Couleur Nature Lavender Tea Towels for $14.17 with free Prime/SuperSaver shipping. Each tea towel is 20" x 30". 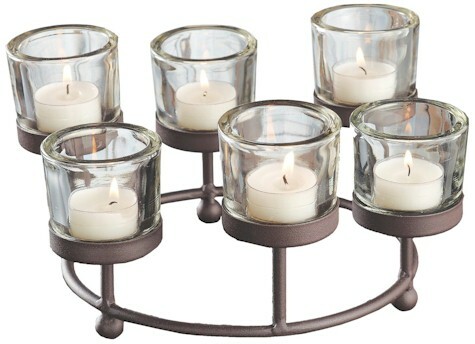 This is a great price on this set, as most of the other patterns/colors run between $29 to $37 per set! Set of 3 tea towels, each measuring a generous 20" x 30"
Amazon has got this pair of large Winco Heavy Duty Stainless Steel 13-quart mixing bowls for $12.28 with free Prime/SuperSaver shipping. 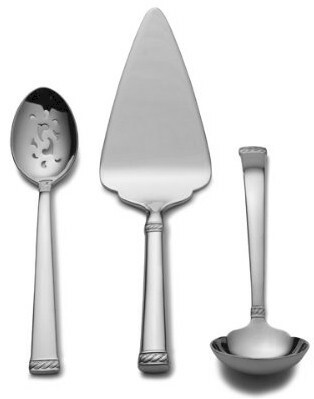 Amazon has got this Towle Ourlet 3-piece Hostess Set in 18/10 stainless steel for $11.67 with free Prime SuperSaver shipping. It includes one pie server, one gravy ladle and one pierced tablespoon. Dishwasher-safe 18/10 stainless steel, with a 25-year limited Towle warranty. Amazon has got this Enrico mango-wood honeycomb 3-bowl server in turquoise for only $7.88 with free Prime/SuperSaver shipping. If the turquoise set doesn't do it for you, it's also available in white for $7.96 with free Prime/SuperSaver shipping, and in tangerine for $8.43 with free Prime/SuperSaver shipping. All, made with reclaimed mango wood. 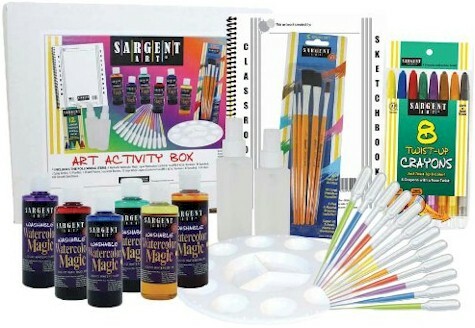 These sets normally cost $34.95 (like the one here and here). Made from environmentally-friendly reclaimed mango wood with an easy care food-safe finish. Each piece is hand-carved by skilled artisans, so no two are exactly alike. Gorgeous wood grain and colors make these great for a wide variety of serving and decorative uses. 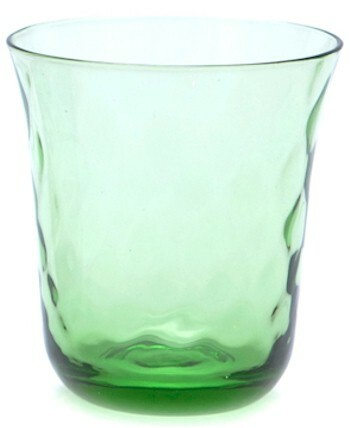 Amazon has got this set of four Padma Collection mouth-blown glasses for $7.85 with free Prime/SuperSaver shipping ($1.96 per glass). Amazon has got this one style of "Enjoy Coca-Cola" full-length 100% cotton apron for only $7.26 with free Prime/SuperSaver shipping. Apron measures 28" x 32"
Print your coupon for $0.40 off any one Pam Cooking Spray. 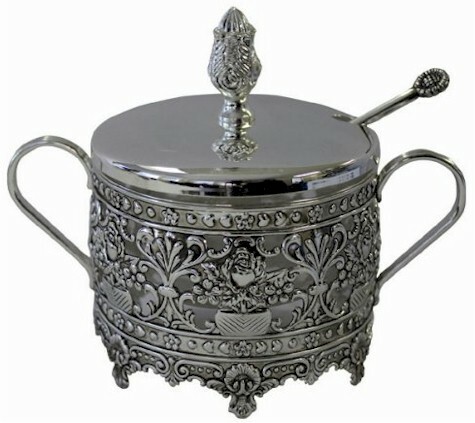 This elaborately styled silver-plated honey dish is only $7.29 with free Prime/SuperSaver shipping on Amazon. Even though we are months away from Rosh HaShana, I would grab this one now, as there is no telling how long this will be priced this low. Off-season shopping is a great way to save money on your holiday budget. 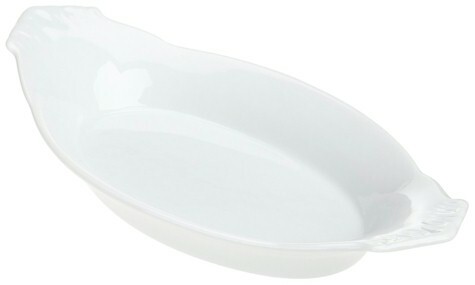 Amazon has got this Kitchen Supply 10.5" white porcelain traditional oval au gratin dish for only $4.02. It's microwave-safe, dishwasher-safe and oven-safe up to 500 degrees F.
This set is an Amazon Add-On item,, which means that it ships for free with a $25 minimum order if you are an Amazon Prime member (and its price of $4.02 counts towards that $25), or it ships for free with a $35 minimum order if you're not a Prime member. 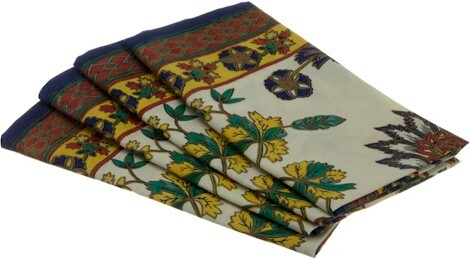 Amazon has got this set of four Mahogany Brittany 100% napkins for $4.19 ($1.05 per napkin!!). These high-quality Mahogany cotton napkin sets generally go for $12-$17 on Amazon, and this is an overstock markdown. Once it sells out, it's gone. This set is an Amazon Add-On item,, which means that it ships for free with a $25 minimum order if you are an Amazon Prime member (and its price of $4.19 counts towards that $25), or it ships for free with a $35 minimum order if you're not a Prime member. 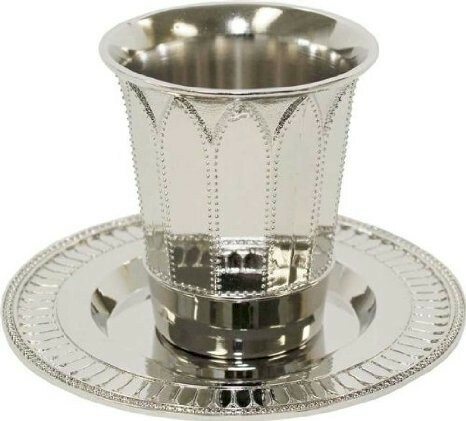 Amazon has got this nickel-plated kiddush cup and saucer for only $11.73 with free Prime/SuperSaver shipping. Always smart to have a spare kiddush cup for guests. The last kiddush cup deal I posted went very quickly, so don't wait on this. 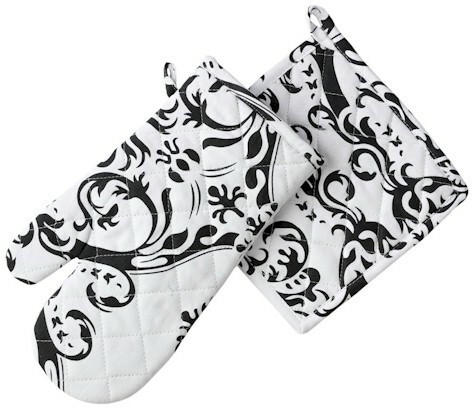 Amazon has this 4-count pack of damask potholders/oven mitts for just $9.35 with free Prime/SuperSaver shipping. This set includes 2 potholders and 2 oven mitts, all 100% cotton. Amazon has got this Totally Bamboo Cheese Set for $6.77 with free Prime/SuperSaver shipping. 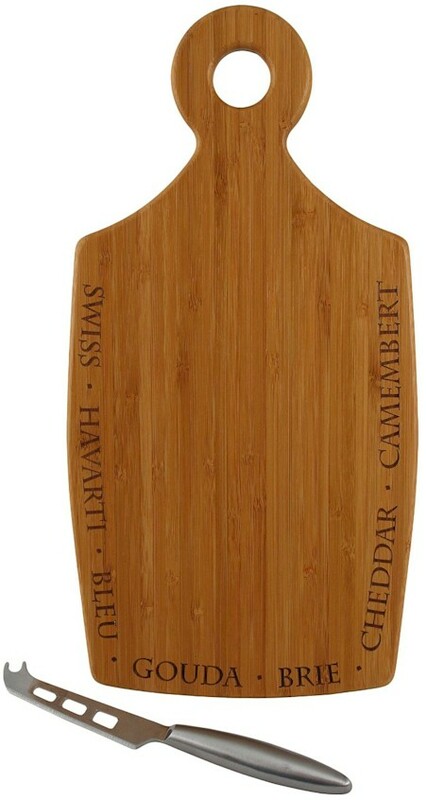 Includes bamboo etched board and stainless steel knife. 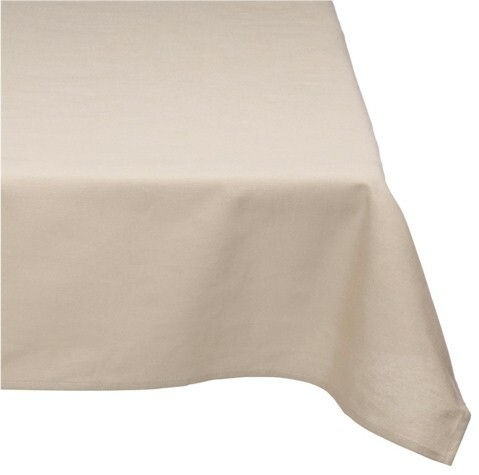 Amazon has got this Trendex 100% cotton 60" x 102" linen-colored tablecloth for only $6.35 with free Prime/SuperSaver shipping. Very limited quantities. 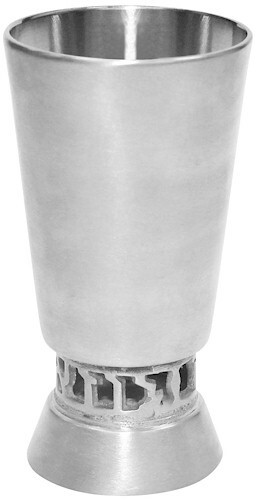 Amazon has got this 4.5" pewter kiddush cup for just $6.47 with free Prime/SuperSaver shipping. Great for guests (always handy to have a spare kiddush cup on backup) and you simply cannot beat this price. 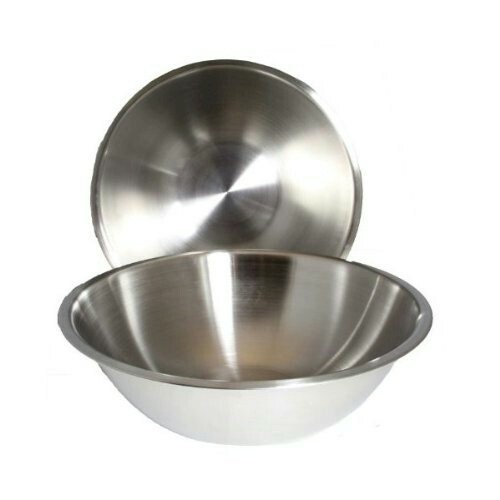 Amazon has got this two-pack of 5-quart heavy duty stainless steel mixing bowls for $6.30 with free Prime/SuperSaver shipping, the lowest recorded Amazon price on this set. Price reflects two bowls per order. 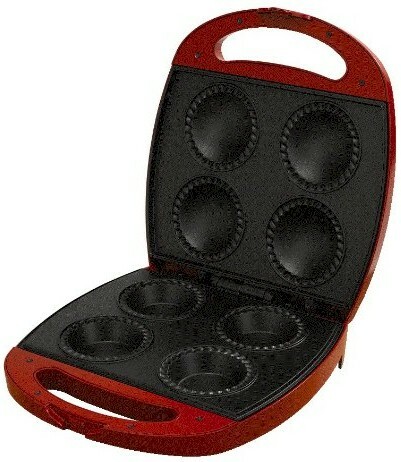 Useful for all mixing and food prep in large quantities. Amazon has got this rolling mobile storage unit in a cherry finish for $62.69 with free Prime/SuperSaver shipping, the lowest recorded Amazon price on this highly-rated item. It got 4.4 out of 5 stars over 86 customer reviews. It can accommodate a 48-inch TV (can support up to 80 pounds). 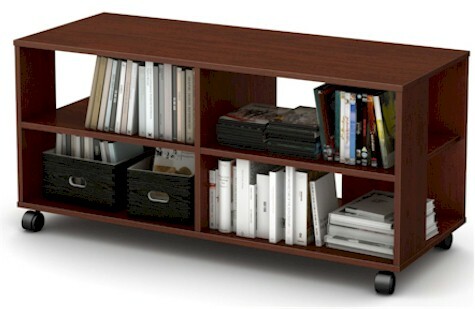 Features 4 open storage spaces and casters with built-in brakes. It is also available in Natural Maple, Chocolate or Pure Black finish.